Only the head of the family is mentioned. There 3 persons in the house, Fran?ois and Louise with 1 child, Fran?ois. Seul le nom du chef de famille est indiqu?. Il y a trois personnes dans la maison, Fran?ois et Louise et leur fils Fran?ois. Voir document du 26 janvier 1855 sur cette page. 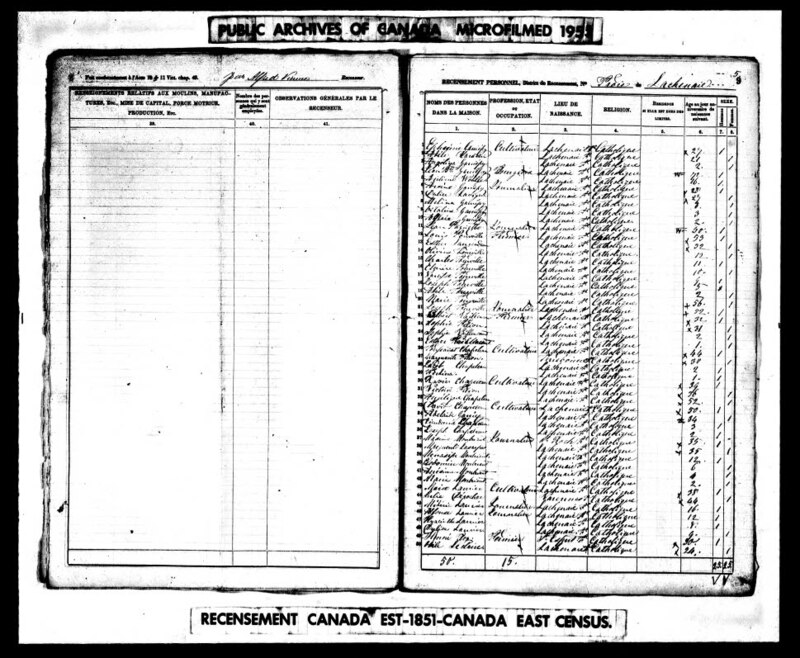 Please see reference to document below. 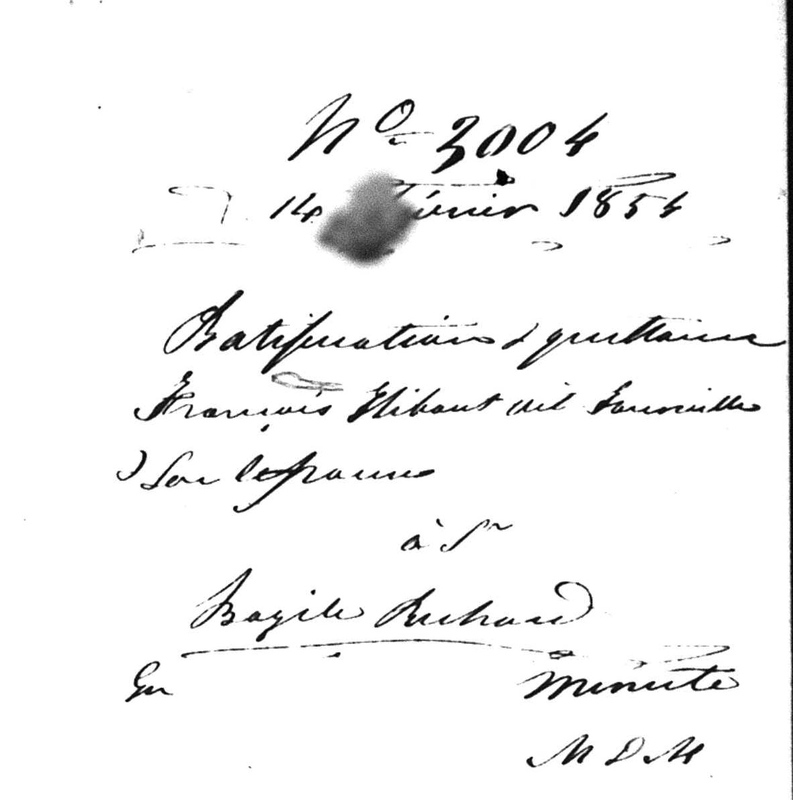 The document states that François Hubou dit Tourville and his wife Louise Corriveau, both residents of St-Jude, acknowledge receipt for the fourth payment that was due last January "of this year" for the sale of a land that was made by François to Bazile Richard, on March 30, 1850 before the same notary. The buyer is the owner of the neighbouring land. Acte no 3153 - Quittance par Dame Louise Corriveau, veuve Tourville, à Bazile Richard. 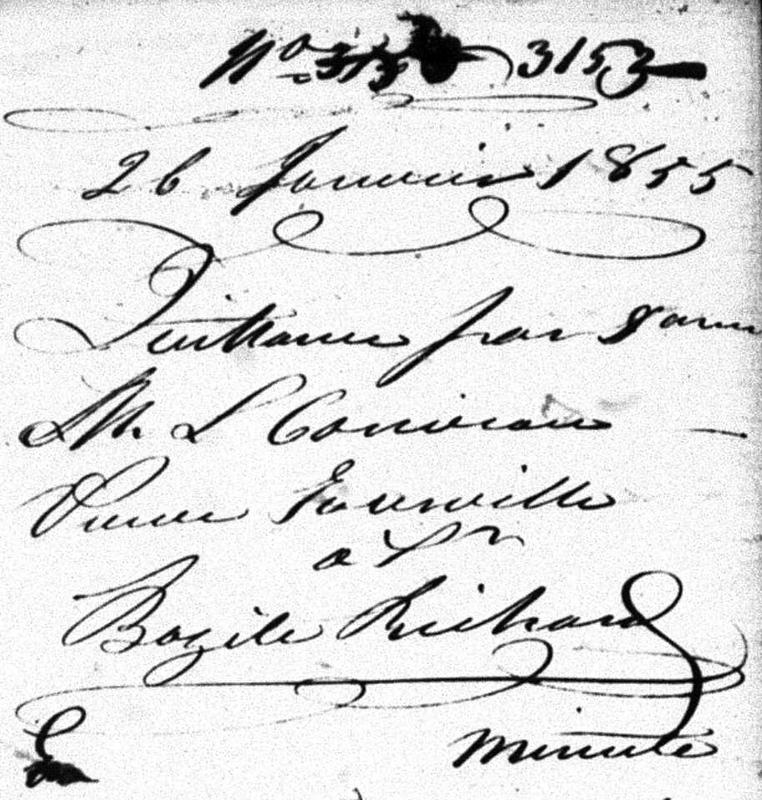 Louise Corriveau, widow of the late François Tourville, resident of St-Jude, acknowleges receipt for the last payment regarding the sale of a land made by the late François Tourville, to Bazile Richard.